Do you currently have some offers set up, but they're not setting your sales and conversions alight? No worries - let's look at some simple ways you can spark your sales. Here are some quick tips on how to boost conversions within the app. It may sound simple but the most common issue we see is that customers will only create one offer. This offer might include an unpopular product and it is never seen by any of your customers 😫. The easiest way to remedy this - is to create at least 3 offers, this way you can see which offers are gaining traction and weed out the ones that are not. We have seen a HUGE increase in conversions based upon this step alone. Creating an offer that includes the correct products at the right discount value can sometimes be tricky. This is why we created our auto-generated upsell feature. From just one click - the app will analyze your order history and see which products were frequently bought together. Select an offer which looks good to you and away you go! Play around with the values on the discount you are offering. You can specify the discount values by a percentage off the item price, a fixed amount off the item price, or setting a fixed discounted price itself. You can always test and tweak, depending on what works for you best. We've analyzed across nearly 40,000 offers and the average discount on an offer is 24% off. We all know that physical appearance and aesthetics really do matter, so try to make the upsell popup as attractive as possible. Although there is always the risk of overdoing it, you would surely know when you test the app for the upsell popup. Just make sure your upsell popup attracts attention in a pleasing way to make the customer would really take a good look at it instead of ignoring it and pressing the x button to close it. 5. Reach more customers by using collections instead of single products in your offers. A sure-fire way of reaching your customers with our upsell popup is using collections as opposed to single products when creating the offer. Using collections will provide much more exposure to customers as they are more likely to have these items in their cart. 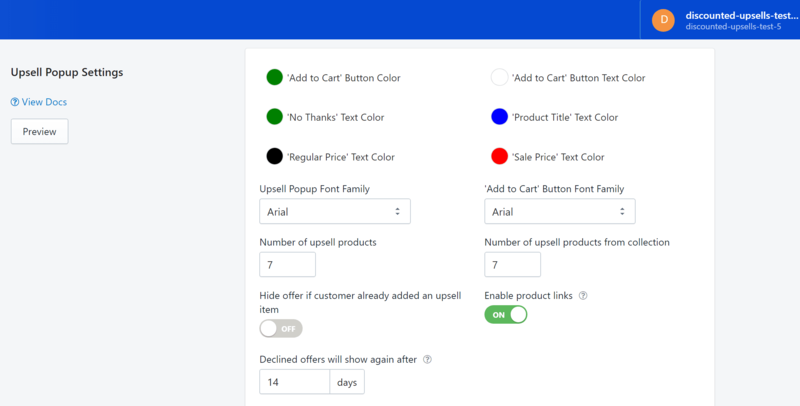 Likewise, using collections in your upsell popup will also give customers more options and encourage them to buy those items that were not originally on their minds.